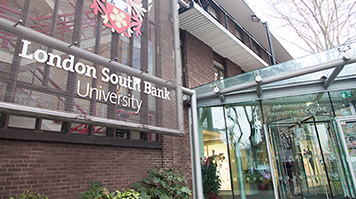 The Minister of State for Apprenticeships and Skills has approved Lambeth College’s decision to join the London South Bank University (LSBU) ‘family’ of institutions. The move will reinvigorate the College and create better access to education across South London. Subject to parliamentary approval and contract agreement, Lambeth College will officially become part of the LSBU group by January 2019. The partnership will see students at Lambeth College benefit from a wide range of opportunities offered by the University of the Year for Graduate Employment. This decision heralds an exciting new era of collaborative learning for Lambeth College and will unlock a range of progression routes, different learning styles and facilities for learners, staff and the local community. The initiative has significant support from national and local stakeholders and is an exciting development which will secure Lambeth College’s future as a key part of the fabric of South London education. Cllr Ben Kind, Lambeth Council’s Deputy Cabinet Member for Schools, said: “Providing the best possible education, skills and training is essential in ensuring young people in Lambeth achieve their full potential. It is also crucial in ensuring the benefits of growth in the borough are accessible for all our communities.